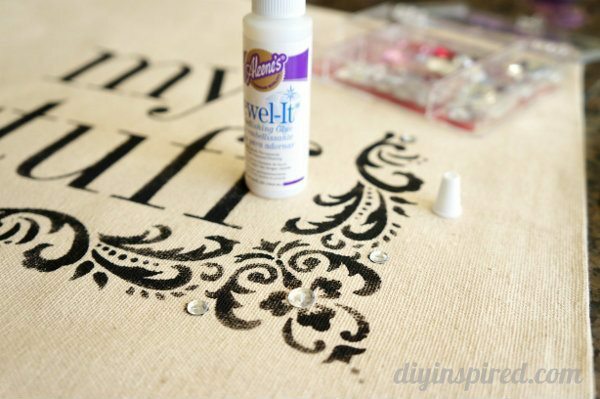 I love this trash to treasure project, a) because it’s repurposed, and b) it’s so easy!! My Mother-in-law gave me a bunch of bank money bags that are no longer used at bank branches. They are great because they are long and narrow. I wanted to make something to match my upcycled dollar bin pouches for traveling. I decided to make this repurposed Bank Money Bag into a laundry travel bag for my suitcase. These bank money bags are the perfect size for your laundry to fit in a suitcase. 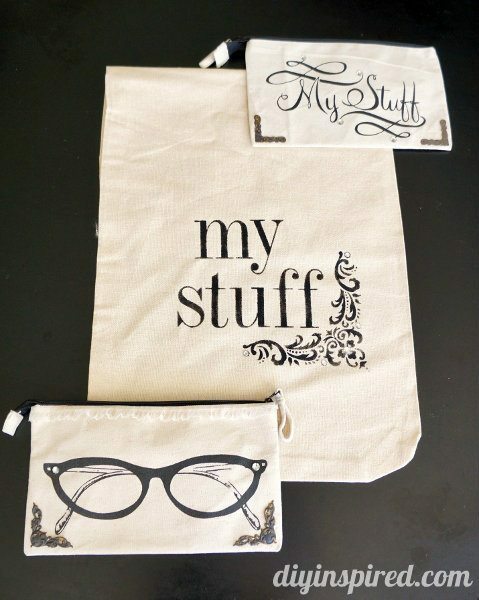 I wanted to write “my stuff” on the bag to match my dollar bin pouch I upcycled. To make it easy, I started with the center letter “u” and worked my way out. 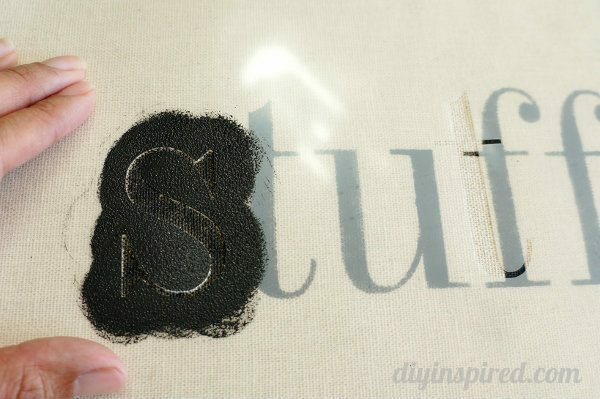 When stenciling, make sure to dab the excess paint off of the spouncer. Less is more. Stencil it in an up and down motion to prevent bleeding. 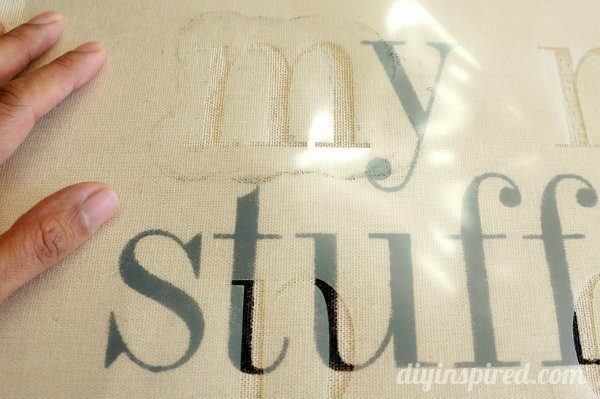 Note: I like to wash and dry my stencils in between each letter to keep them clean. It helps to keep a couple towels handy. 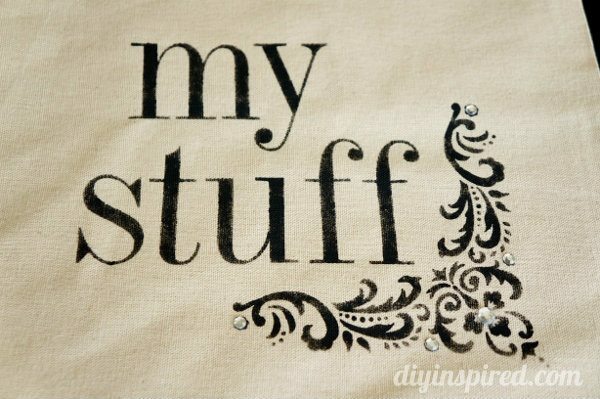 To place the “my” I stenciled the “y” first for ideal placement. I also stenciled a border on the bottom right corner. I added some rhinestones with some jewel glue . Here is a photo of my entire blinged out travel kit! I’m so excited to use it… now where should I go? 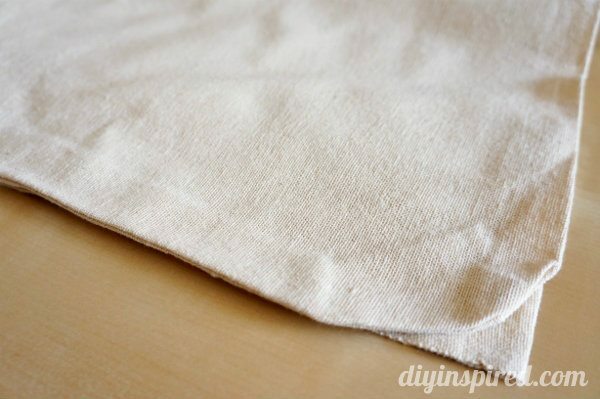 What would you make out of a canvas bank money bag??? 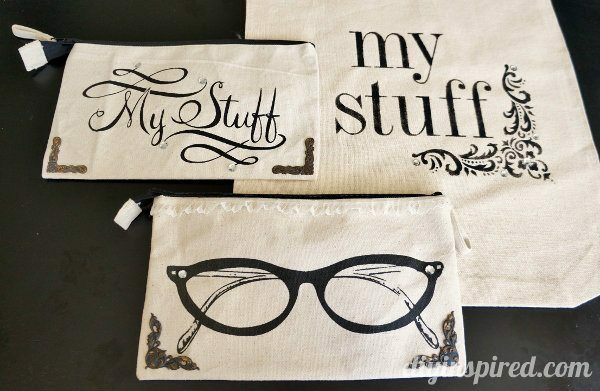 I saw almost identical bags with the same images at Michaels Crafts. What a coincidence. Love your blog! I’ve been trying to set up my own blog. I must get around to it soon. Last month I purchased a few of these for myself and gifts for teacher appreciation week. I plan to add glitter and some other embellishments. Thank you Toya! I went back and bought more! Good luck on your blog and make sure you let me know what it is so I can visit!